Would you consider traveling thousands of miles to visit a cemetery? Lots of people do, especially if the cemetery is full of famous people, or haunted, or even humorous. C'mon, you're going to end up there anyway, so you might as well see them while you can still enjoy them! Burial at the PÃ¨re-Lachaise cemetery in Paris is the ultimate status symbol, with a price tag to match. 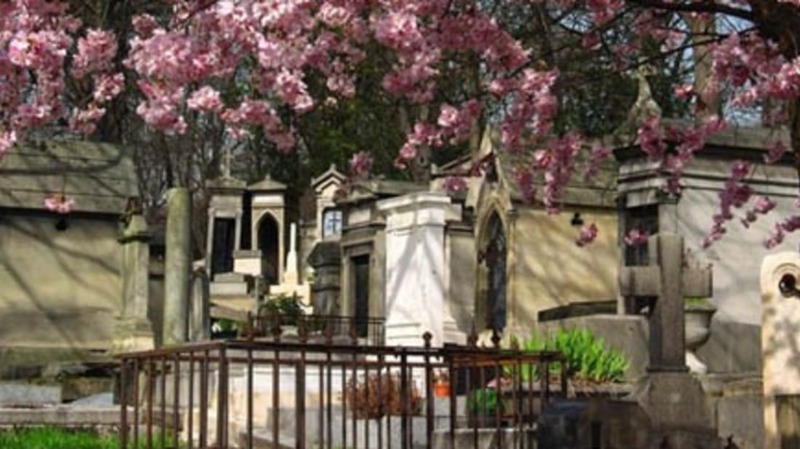 You can visit the graves of American dancer Isadora Duncan, singer Jim Morrison, and playwright MoliÃ¨re. Wikipedia has a long list of famous people buried there. The most visited grave there today is that of writer Oscar Wilde, whose monument stone is constantly decorated with long-stemmed roses and lipstick kisses. The cemetery receives over two million visitors every year! A friend of mine arranged her honeymoon around a tour of "haunted" cemeteries in New Orleans, Louisiana! In most cemeteries, concrete tombs are decorative and the remains of the deceased are buried underneath. Since much of New Orleans lies below sea level, above-ground tombs actually contain the remains, often of many people. St. Louis Cemetery #1 is promoted as the burial site of "voodoo queen" Marie Laveau, who is said to walk about when the spirit moves her. So to speak. St. Louis #2, in the French Quarter, is the final resting place of jazz musicians, pirates, and war heroes. Next to someone else's wife. Self-taught woodworker and poet Ioan Patras Stan carved brightly-colored memorials for over 50 years. You can see closeups of the Merry Cemetery crosses in this photo gallery.